$10 Advance + Fees, $15 at the door. Abjo is part of the worldwide music collective Soulection. 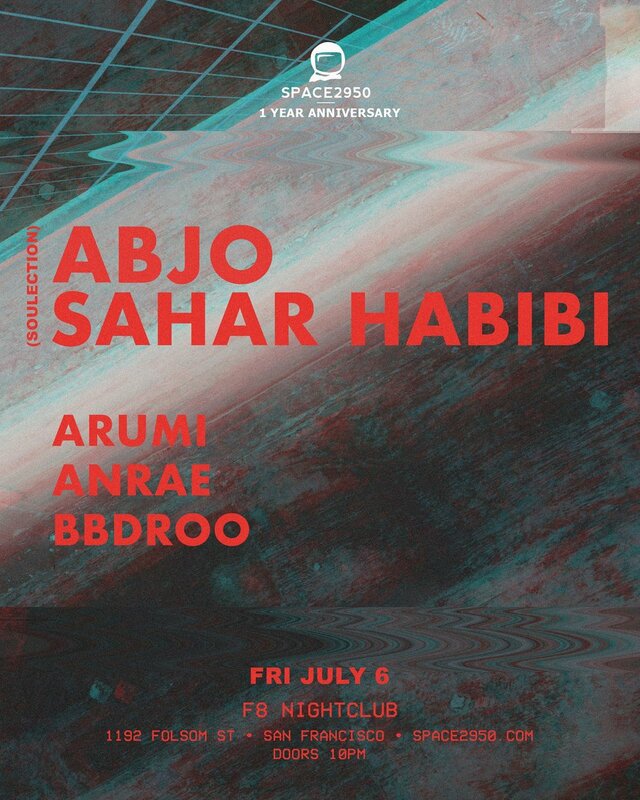 Often combining elements of high-speed footwork and juke breaks with funky soulful beats and grooves, San Diego's Abjo isn't one for a simple singular style these days. Abjo relishes creative experimentation as he adds his own touch to classic rap and R&B numbers. Left-field trippiness is part of what drives Abjo's sound and he's only getting better at infusing it. At only 24, Sahar Habib has become one of the most prominent up and coming DJ's in the Chicago scene, representing the worldwide music collective Soulection. With a passion for an assortment of genres, Sahar brings her listener's an eclectic taste from classic R&B/Soul, future beats, modern day Hip-Hop, and deep discovery of edits. She's recognized for her variety selection in music that she brings out to her shows with her smooth blends and uptempo energy. In her short span of DJing, she has had the pleasure of sharing the stage with: Soulection, Kaytranada, Goldlink, Syd, Sam Gellaitry, Ja Rule, The Dream, and many more.